Lectio divina, sacred reading of the scriptures, is an ancient practice of praying with biblical texts that is again enjoying great popularity in Christian circles today. Join us for an experiential introduction to the practice of sacred reading that promises to deepen your engagement with the power of God’s Word. 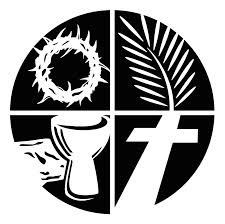 Our practice will focus on readings appointed for the Fourth Sunday in Lent (March 30) which will have the effect of enhancing your Sunday experience of worship. The Rev’d Jonathan Linman, Ph.D., an expert on the practice of sacred reading, is Assistant to the Bishop for Faith and Leadership Formation in the Metropolitan New York Synod of the Evangelical Lutheran Church in America. He has also served as a parish pastor, seminary professor and academic program administrator. He is a well-received worship leader, preacher, teacher, facilitator for quiet days and retreats, and brings to the work significant background in synodical and churchwide initiatives. Dr. Linman is author of the book, Holy Conversation: Spirituality for Worship (Fortress Press, 2010), which is an introduction to liturgical worship seen through the lenses of the movements of lectio divina.